It takes a team of talented techies to keep our network running in top fashion. Introducing our IT Network Technician, Ben Jones … otherwise known as “Mr. Fix It”! As we always say, when trouble calls, just call Ben! 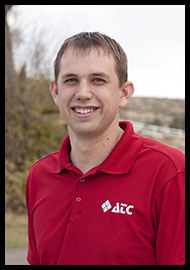 Ben has been with the company since 2014, and stays busy troubleshooting and resolving our hardware, software and network-related problems. Ben loves learning new things, and enjoys staying abreast on the latest technology trends. His favorite meal is a grilled cheese sandwich and tomato soup, and he enjoys playing the guitar, basketball, and running in his free time We’re grateful to have this talented, tech –smart, Mountain Dew loving guy on our ATC team.